Atila * 01/06/2007 is a beautiful tall Albino (Cream color) gelding, used as a leisure and hacking horse, has been to ferias and local festivities, at the beach and goes into deep water without issues. He loves to be around other horses. 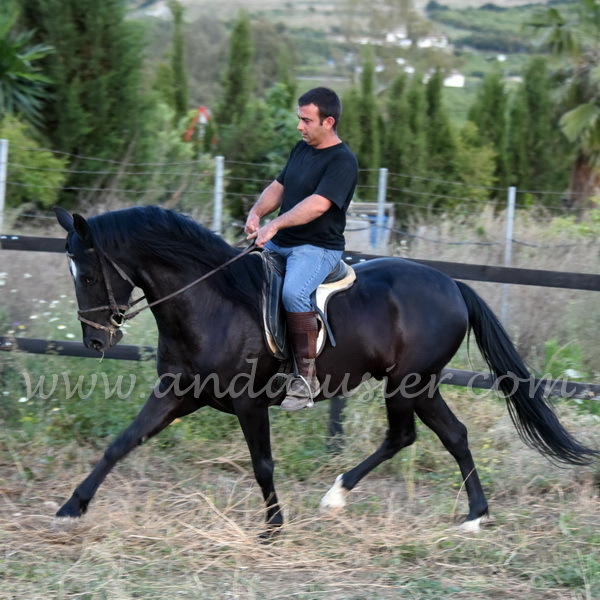 Atila is owned by a leisure rider who has had him trained by a professional rider, Manolo Aranda, Spanish champion in Spanish dressage and high school. Therefore Atila has a well – established basic training including some piaffe and Spanish walk. He has a trainable mind and good attitude to work. A versatile horse, especially suitable for tall riders.